Each year that passes you wish you could tell your younger self what to look out for. What’s on your list? Friday March 29th, 2019 on @HashtagSkirmish we played #ThingsIWishIKnewAt15! Thanks for playing along and keep joining us every Friday 11:30amE/8:30amP! 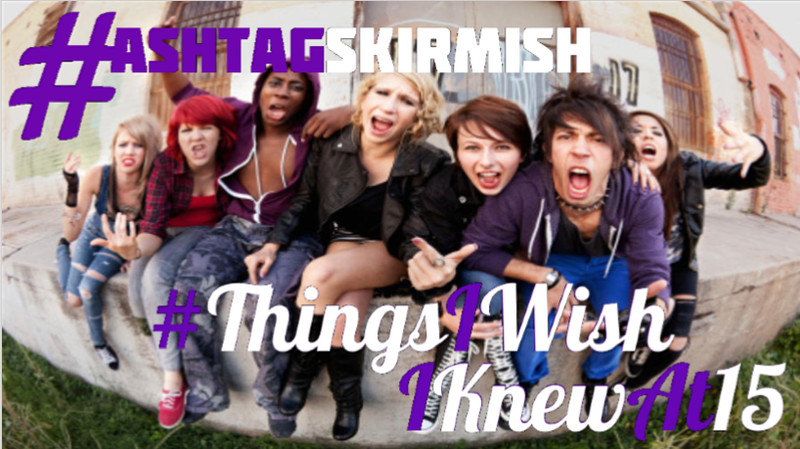 And Now… here is Our Top10 for this week’s @HashtagSkirmish Game #ThingsIWishIKnewAt15! #ThingsIWishIKnewAt15 MTV VJ isn’t smart career goal. Trust me. That those smiles, are fake! They meant me harm with every good word they lied. Devils can dress as angels sometimes.